Outback Campers is one of a select few who actually manufacture the whole camper trailer on the one premises. This factor gives us an advantage in total quality assurance and flexibility in design. It also passes on benefits to the customer, an affordable product that is not loaded with the fees of contractors. Outback Campers also offer a one stop point of service, all work for repairs and alterations is done at the original point of sale and manufacture. With experience in canvas work dating back to 1967 and building camper trailers since 1987, Outback Campers pride themselves on using Australian Made materials that are made to last in Australian conditions. 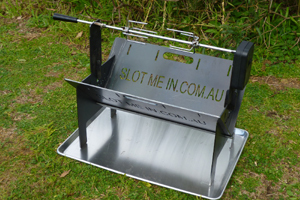 If you’re in the market to buy a camper trailer and looking for the quality and durability of Australian made. Outback Camper’s manufacturing process is open for inspection. The canvas production floor can easy be viewed for the open showroom and the rear trailer manufacturing floor can be seen on a guided tour. The complete Outback Campers production process is open for inspection. See it for yourself. Don’t simply believe a salesman’s speech on ‘Australian Made’, guarantee the quality by seeing production with your own eyes. Tent and trailer. If you’re considering any brand of Camper Trailer, ask to see where it’s made. The tag ‘Australian Made’ may just refer to the actual trailer, the other half of the product, the tent, could be the cheapest possible option. Non-water proof polyester canvas, perishable flywire, light-weight zips and flimsy frame work. Not worth the money spent on it. As a member of the Australian Manufactured Camper Trailer Guild, Outback Campers adhere to a code of ethics, not just the Australian Standards for all Australian Made trailers. Imported trailers under 4.5 tonnes currently are not required to meet the Australian Standards concerning trailer manufacturing. They are simply un-roadworthy and online examples can be found of newly purchased camper trailers not even reaching the customer home before finding trouble. CSIRO tests on Chinese polyester canvas found it fails to meet Australian Standard AS3567-98. Good luck with a warranty. 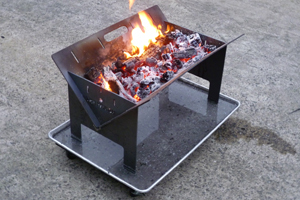 All of this information can be found on the Australian Manufactured Camper Trailer Guild website. A cheap camper will end up costing you.